This is a story of true friendship. When ten-year-old Ebony meets Teena the new girl at school, she can’t believe her luck. A real friend at last. Follow Ebony and Teena as their friendship and trust for one another grows. 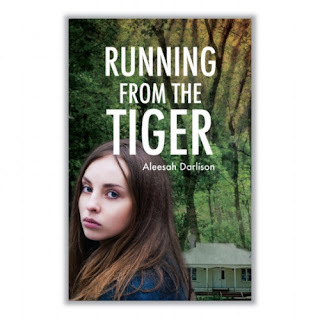 Darlison draws on Ebony and Teena’s growing friendship to give the reader a message of how friendship and encouragement can lead to overcoming a difficult family life. This book for 10 -12 years old girls comes with a warning. It has a purpose of empowering those living with domestic violence. This social issue is woven tastefully throughout the narrative and encourages children to have a voice. Ebony loves to run; it gives her freedom from her father and the abundances of chores and responsibilities he saddles her with at home. Both she and Teena among other classmates gain a spot in the zone carnival. With training commences after school Ebony dares to ask her father for permission. As the reader, you can’t help but have empathy for Ebony as she finds herself and strengths. The climax comes when Ebony gets a chance to slips away with the encouragement of Teena, to compete at Zone level. This book has a marvellous way of raising a difficult subject.